Turquoise color can truly be the perfect addition to any room. Recently, many have started to add splashes of turquoise to their kitchen. The kitchen has always been a place where families gather and warmth is shared. By creating a turquoise kitchen, you can take that warmth to the next level. So how do you get started creating your new kitchen? Here, we will take a look at all the turquoise products and accessories that are available, as well as how much you can expect to pay to create your new kitchen. 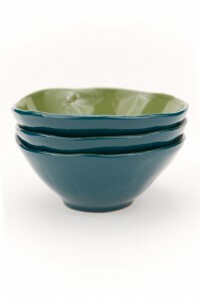 No new turquoise kitchen would be complete without new dinnerware. Plates, bowls and cups of all sizes can be found if you know where to look. Standard turquoise-colored salad and dinner plates, as well as coffee cup and saucer sets, go for under $10.00. Five-piece dinnerware sets will cost about $30.00. You can also find silverware, salt and pepper shakers, dinner trays, bottle openers, coasters and soup tureens featuring turquoise. Some handmade turquoise soup tureens cost over $1,000.00. If you’re adding turquoise to your kitchen, you may want to consider all the vintage and retro accessories that are available. A cast iron bottle opener is one of the more popular rustic accessories. Retro two-hand clocks that include cooking timers are an inexpensive way to add taste and style. If you have a more expansive budget, an exquisite set of turquoise kitchen ceramic canisters is available for a few hundred dollars. Vintage sets of turquoise cast iron cookware can be purchased for just over $100. Even turquoise aprons are available for both men and women. Candles, jars, vases, cabinet knobs, trash canisters and towel racks can all be great additions to your new turquoise kitchen.